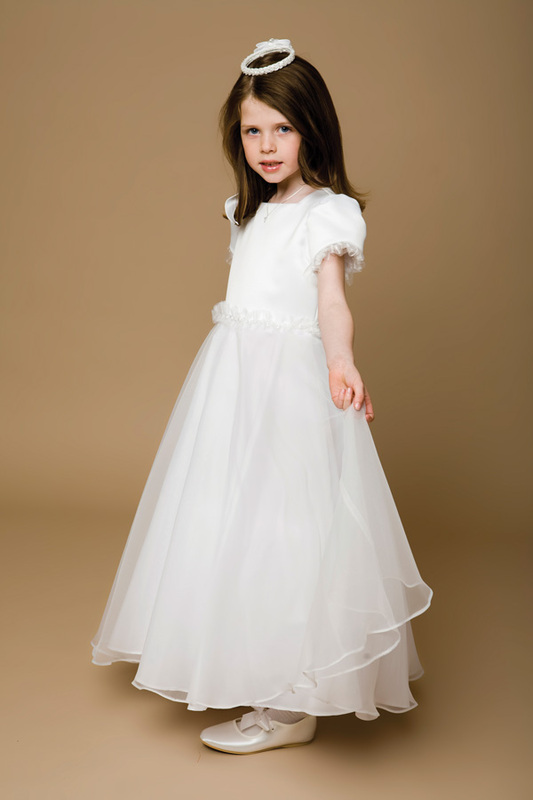 During the Holy Communion in the Catholic Church, a pale white dress is worn by the girls of young age. It is their first presence in the church so the dress signifies the importance of that day. It is a very happy instance for a girl who is making her first appearance in a Catholic Church so wearing a handmade dress can just add a little bit more pleasure to the holy occasion. For a new sewer, it can be a bit of trouble to create a communion dress but for someone who has designed two or three dresses, the level of difficulty can nose dive massively. You need to have basic stuff required to sew a dress and simple materials to accomplish this inexpensive project. Take an inches tape and measure the chest width of a girl along with her height. The girl should be the one who is wearing a dress and not someone who looks like her because perfect fitting can’t be found with the measurement of someone else’s body figure. You have to create sewing patterns then. Create them on a piece of tissue paper with a basic dress shape. Small box sleeves and snoop neck should be the part of your drawing. You can adjust the measurement of the chest width and height and add some extra cloth of almost 1/8 inch so that you can alter it later or to allow some allowance to wear something underneath the cloth. Take a huge enough cloth of fabric that will allow you to make a dress out of it. Cut it into half and fold it over which will form a double layer. Pin up the layers and straight pins for that purpose. Other pins can damage the cloth so beware of the cons. Use the straight pin which is usually found in the packing of a dress shirt. See the pattern created on a piece of tissue paper earlier and cut the fabric in the same manner so that it gives the shape of the pattern but make sure the length measured in the first step is used. Remove the pins and disperse the pattern. Sew the two different panels with the help of a sewing machine. Don’t sew the bottom of the dress so that the foot can stick out of that zone.